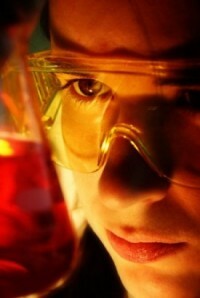 The term ‘R&D’ is usually heard in context of big industrial corporations and the pharmaceutical industry. It also brings to mind big budgets, big spending, big dollars, big big big. The most successful big companies in the world all have a Research and Development division who’s sole purpose is to push the limits and find new innovations and technologies. Governments give out grants for this kind of research because it’s well known that innovation drives a big portion of our economy. There’s no reason these same ideals can’t be similarly implemented on the small business scale. To know how you stack up to what others are doing, start by finding out what others in your industry are actually doing. A simple Google search such as ‘Your Industry blog’ will turn up links to who’s saying what about what you do. Not every cutting edge business will necessarily have a blog, but more and more industries are finding each other and creating communities online where collaboration and innovation are pushing everyone up: a rising tide raises all boats sort of thing. These new communities are in need of industry experts such as yourself. Become a part of the conversation by leaving relevant comments on articles you come across. If you have something of worth to say, it will be appreciated when it’s said. You won’t always agree everyone in the community, but that is the point. Hash out the bad ideas, harvest the good. Another benefit of leaving comments on others articles is that it gives you an opportunity to leave a link back to your website or blog. This is the new way of ‘link sharing’ that is more natural and conversational that the old way of link farm sharing (yuk). What? You don’t have a blog or a website? Then the next step is for you. Joining the conversation on another site is a very good and important thing to do. But even better is to start a conversation on your own site. Blogging is simply the term for writing about what you know – Or in my case, what I think I know :). If you don’t already, seriously consider adding a blog to your site. There’s no need to even call it a blog – in fact I call my blog a ‘Notebook.’ The point is to have a section of your site dedicated to starting a conversation about your industry – what you know about it and how others can benefit. Everyone has a place that they do their best thinking. Mine’s the shower – a place that I can just think without distractions. It takes cultivation, but listen to that voice inside when you’re able to let the mind wander. There are ideas there – be sure to write them down, perhaps in your new blog! They won’t all be great, or even good ideas, but know this: In the design process that I go through when creating a new site or logo, etc., there are bad ideas that need to be hashed out before the good ideas come. The bad ideas are usually the easy, or obvious ones. If I stopped at those ideas, I’d never get to the good ones. The process for great business ideas is the same, in my opinion. If you’ve made it this far into this article, perhaps it was insightful for you. I also wonder if most business owners would find this obvious. What do you think?